This series is available for purchase on metal prints exclusively, which include float mount hangers and are delivered ready-to-hang. I offer complimentary print signings in the greater Portland area. 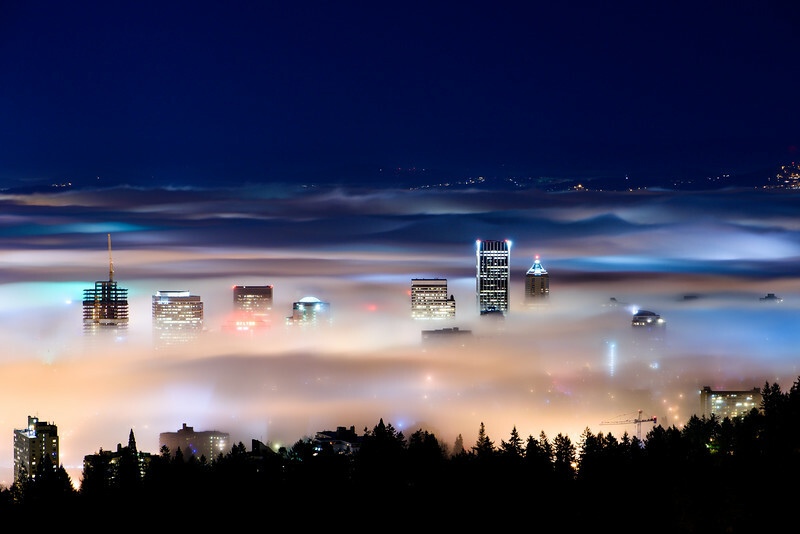 Only the skyscraper buildings in downtown Portland are visible through heavy rolling fog on January 25, 2015, as seen from the Pittock Mansion overlook.